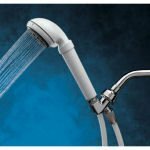 Sprite shower filters are designed to install inline and filter the hot water in your shower to remove chlorine to leave your skin and hair soft. 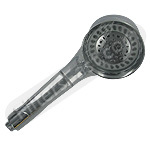 The Sprite High-Output Shower Filter Replacement Cartridge is designed to fit all Sprite High-Output shower filters. 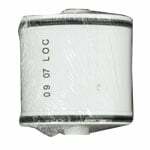 This cartridge contains 20 oz of KDF-55 and Chlorgon media. 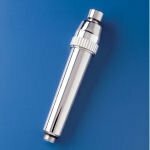 Cartridge life is 10,000 or 1 year depending on water quality and usage. 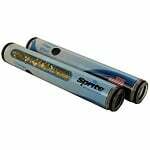 The Sprite HHC-2 Hand-Held Replacement Cartridge 2 pack is the replacement cartridge for Sprite Hand Held Shower Handles Royale, Pure Mist, Original, and Shower Falls. 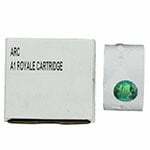 Each cartridge should be changed every 3 months for optimum performance. 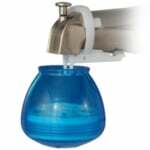 The Sprite Bath Ball Faucet Filter in Transparent Blue is a bath filter which uses a universal harness to attach to any bath faucet in order to reduce the amount of harmful chlorine in your bath water. 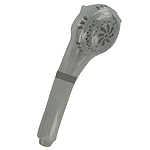 The Sprite HH-CM 3-Setting Filtered Chrome Shower Handle features 3 spray settings, while the advanced filters removes 99% of chlorine from your shower water, plus odors, sediment, Iron Oxide, Hydrogen Sulfide & other pollutants. 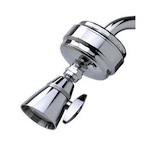 The Sprite Bath Ball Faucet Filter in Chrome is a bath filter which uses a universal harness to attach to any bath faucet in order to reduce the amount of harmful chlorine in your bath water. 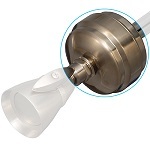 The Sprite HOB-PB-A High Output Shower Filter features an adjustable shower head, reversable filter cartridge, and Sprites patented Chlorgon technology & KDF media to remove impurities from your shower! 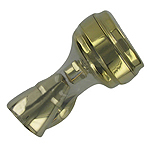 The Sprite HR5 Royale Filtered Shower Handle is a deluxe shower handle with built-in filter. 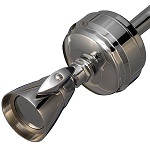 The HR5 comes in three beautiful finishes and features five different adjustable spray settings. 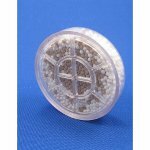 Featuring Sprites patented Chlorgon media with KDF. 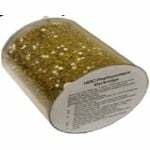 The Sprite SLB-BN is the correct system that uses the following replacement cartridge filter: Sprite SLC Slim-Line Shower Filter Cartridge. 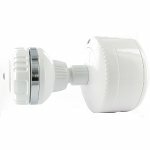 The Sprite Bath Ball Faucet Filter in White is a bath filter which uses a universal harness to attach to any bath faucet in order to reduce the amount of harmful chlorine in your bath water. 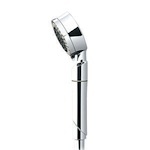 The Sprite HCC5-CM is an upscale filtered Chrome shower handle combining modern styling with advanced shower filtration technology to produce the perfect shower handle with 5-Spray Functions, including a massage feature. 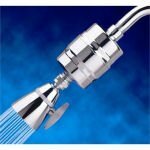 The Sprite Universal Hose Filter attaches to any existing shower handle to provide a chlorine-free shower for smoother and softer-skin. 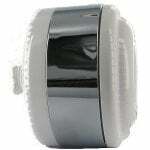 Available in 2 stylish finishes. 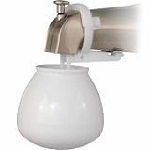 Easy installation & maintenance. 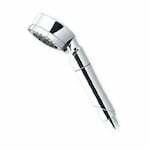 The Sprite HCC8-CM Filtered Chrome Shower Handle has an enhanced filtration media that contains 500% more KDF-55 than most other brands, plus 8-spray function settings. 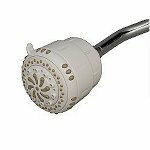 The Sprite HCT8-CM Traditional Chrome Filtered Shower Head that uses a Chlorgon patented filtration cartridge to remove Chlorine, Iron Oxide, Hydrogen Sulfide, odors, Sodium Hypochlorite & heavy metals from your shower water. 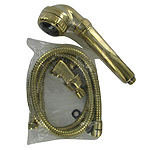 The Sprite HH-GD 3-Setting Gold Filtered Shower Handle uses an efficient filter containing KDF-55 & Chlorgon to remove 99% of chlorine from your shower water. 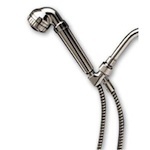 The Sprite Filtered Handle features 3 spray settings so you will feel completely refreshed. 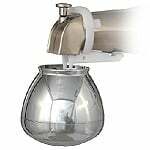 The Sprite SLB-ORB is the correct system that uses the following cartridge replacement: Sprite SLC Slim-Line Shower Filter Cartridge.